Do you remember when a sure sign of spring was the sound of children jumping rope? 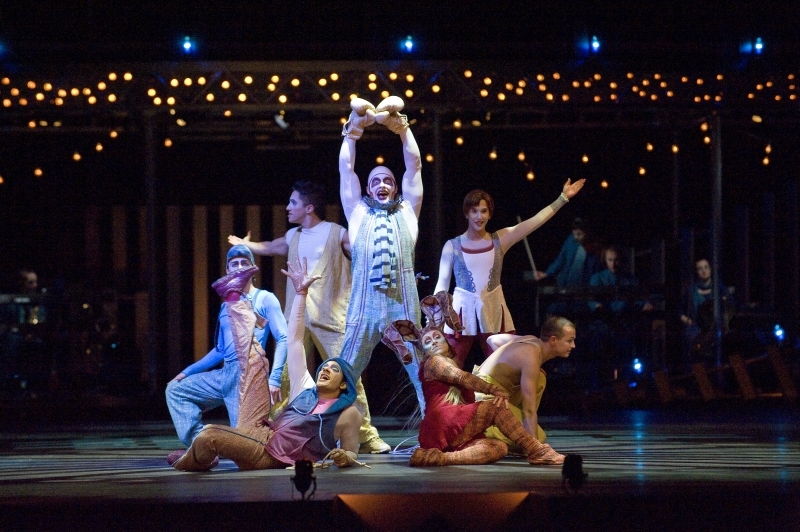 Drawing its inspiration from dance, acrobatics and the art of manipulation, Cirque du Soleil has transformed this familiar child's game into a unique circus act. 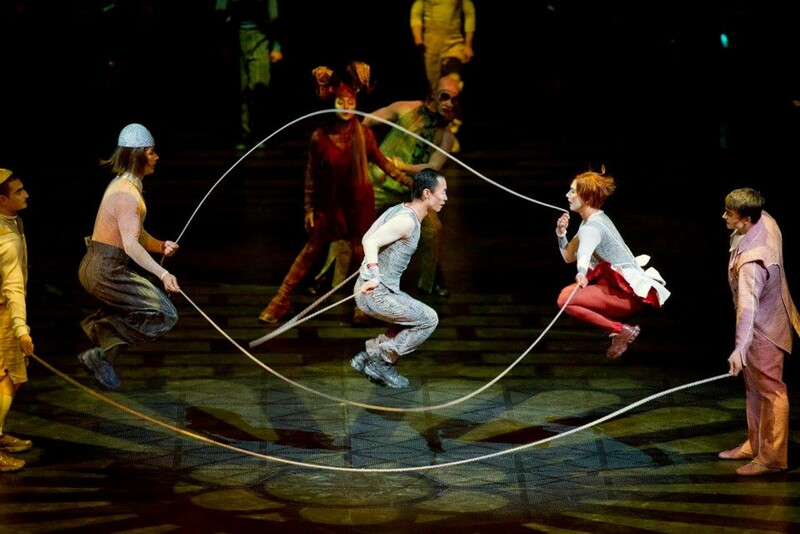 As the ropes beat time, acrobats perform a steady stream of solo, duo and group jumps and figures. 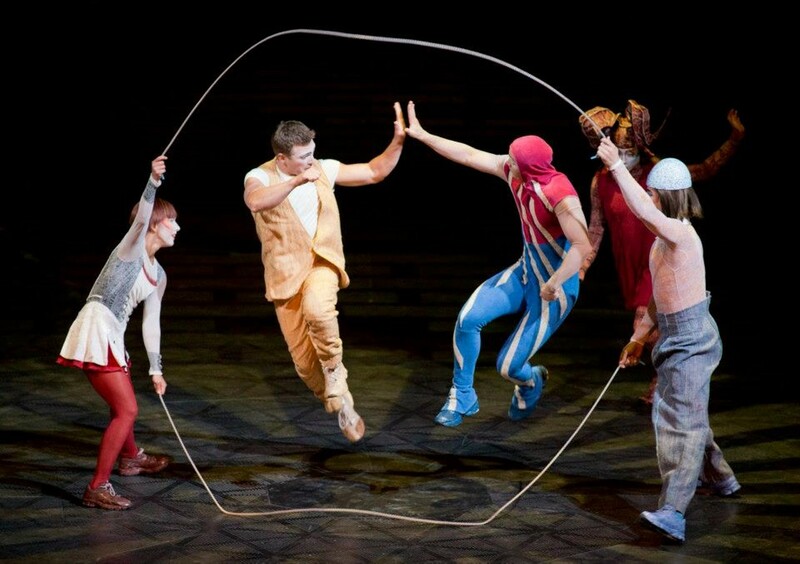 About 20 performers, endowed with exceptional co-ordination and rhythm, dazzle the audience with their acrobatic exploits. The sounds of children at play fill the darkness with warmth. 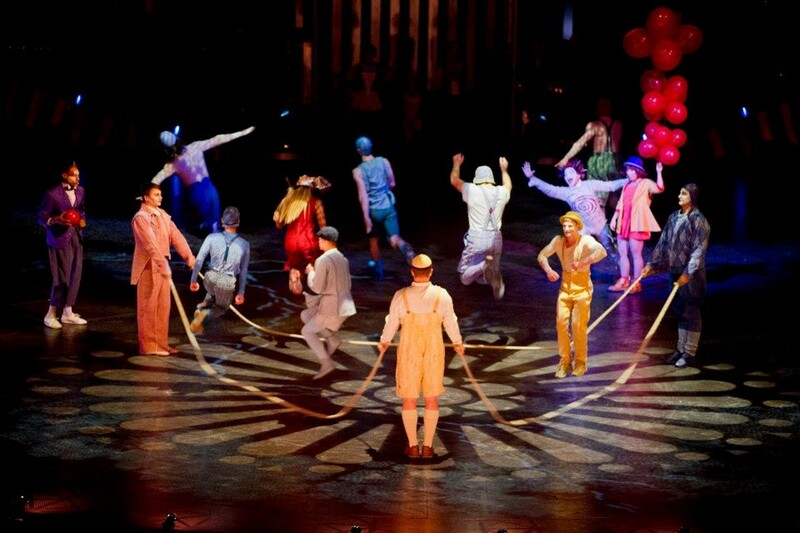 When the lights rise the troupe is in the middle of a languid Skipping Ropes section – at first a simple display of athletic prowess as an ensemble, then they break loose as two soloists get in on the act, and later morphing into an eclectic, energetic display of skill and timing as the entire troupe performs together. But it’s not all fun and games here on this playground. 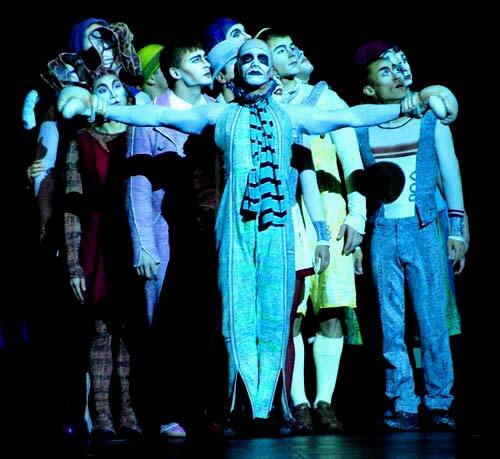 Just as the ensemble is enjoying themselves the menacing sounds of a helicopter and the bright beams of searchlights intrude on their innocent fun, forcing them to scatter in fear. They successfully hide, and while the menace has gone as quickly as it came, the kids are not sure they are safe to resume their play. Fearless, Boum-Boum leads them out of hiding and back into the light, where after assuring their safety, they begin to play once again.